Arya Sekhar Chakraborty contributes in the rising cricketing fever ahead of Freedom Trophy. The countdown begins. Come 2 October and one of the most eagerly awaited cricket series of the year will commence, with India taking on South Africa at Dharamsala in the first game of the three match T20 series. The sleepy Himalayan town is home to probably the most scenic cricket ground in the world, with the breathtaking Dhauladhar range in the backdrop. The Proteas are in India for a full series this time, with the itinerary also comprising four Tests and five one day internationals (ODIs). The two sides, for the first time, will battle for the Freedom Trophy. 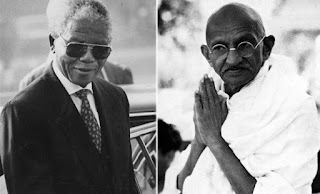 Cricket South Africa (CSA) and the Board of Control for Cricket in India (BCCI) have declared that all series between the two sides in the future will be titled Mahatma Gandhi-Nelson Mandela Series, in remembrance of the two undisputed national leaders who played a vital role in liberating India and South Africa respectively. Gandhi is one of the greatest men of India who gave shape and character to the country’s freedom struggle and is worthy of a standing ovation. He sacrificed his life for the sake of his country. An austere of the rarest kind, Gandhi won global respect for the way he steered India’s freedom struggle. His principle of non-violence and peaceful opposition laid the foundation for gaining independence from the British. Mandela, on the other hand, played an equally important role to free his country from the brutal and racist apartheid regime that prevailed for several decades, because of which South Africa was quarantined from all global sporting events for many years. Mandela was incarcerated for 27 years because of opposing apartheid. His long walk from an apartheid prisoner to being the President of South Africa, rewrote the history of the country and inspired a whole nation. The series, no wonder, has gained an iconic status courtesy the influence of these two greats. Jagmohan Dalmiya, former BCCI president, had said just days before his untimely death that the freedom struggle is what binds the two countries. Gandhi and Mandela played a pivotal role in this regard and used non-violence and non-cooperation as a common weapon, which not only inspired the world but also redefined history. That inspired BCCI and CSA to dedicate the trophy to Gandhi and Mandela, he added. Anurag Thakur, the Indian cricket board secretary, recently said, “BCCI on behalf of every citizen of our country is able to pay tribute to these great leaders by naming the series after them and appeal to each and every citizen of our country to imbibe their ideals and follow the path advised by them”. Both sides had fought several memorable battles on the cricketing field, ever since their bilateral series began in 1991. 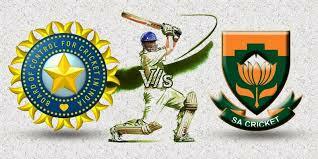 India, for one, will be high on confidence following the Test series win in Sri Lanka after 22 long years. The Gandhi-Mandela series will provide opportunity for rookies like Sreenath Aravind and Gurkeerat Singh to prove their mettle at the highest level for the first time. Captain Virat Kohli will be a much relieved man with Shikhar Dhawan regaining his fitness. Dhawan holds great record against the Proteas. The key to India’s success will be sticking to the basics as they are a tremendously dominant team in their own backyard. Indian T20 and ODI captain MS Dhoni will be back in the team after three months. He will be all set to prove his critics wrong, who had earlier tipped in giving the captaincy to Kohli, even in the shorter versions of the game. The touring South Africans, on their part, have always been a formidable team and have the best records as a visiting side in the longer version of the game. They have lost just 15 Tests abroad, winning as many as 19 and drawing another eight in that period. But at the same time, this South African side is an inexperienced lot. They will be heavily depending on the services of Hashim Amla, AB de Villiers and Faf du Plessis. The bowling will be spearheaded by the temperamental Dale Steyn, who has been leading their attack for several years now, ably accompanied by Morne Morkel. Amla has a tremendous record on his ancestral land, with an average of over 100 in Tests. Steyn, like always, is the bowler to look out for as he had single-handedly won the Proteas two games in India, in two different series. But on both occasions the Indians managed to bounce back strongly to level the series. Sachin Tendulkar has already warned the Indian team not to take the inexperienced South Africans lightly and also warned to be careful against Pakistan-born leg spinner Imran Tahir. A keen contest is waiting to unfold within the next few days. 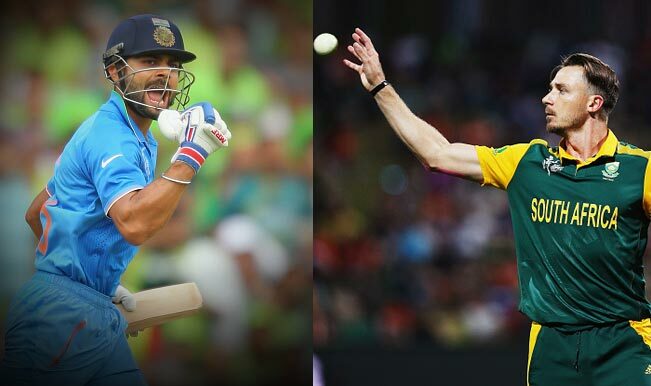 Cricket aficionados from both countries will be glued to their TV screens, lapping up some top class cricket.